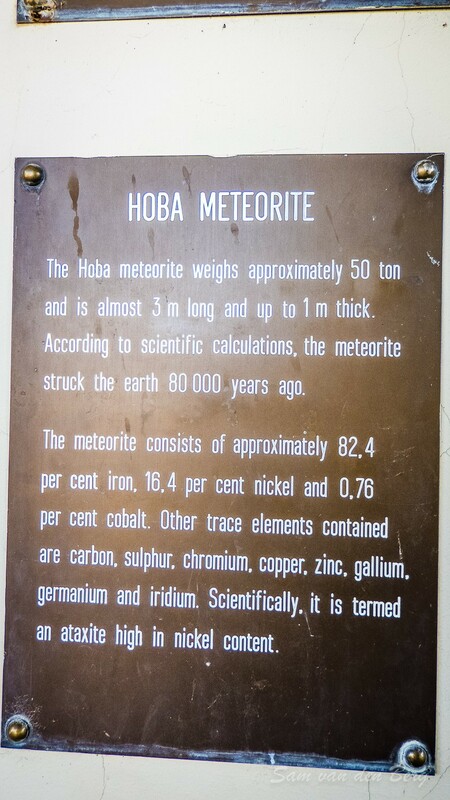 The experts all agree that the Hoba Meteorite is the biggest meteorite that has been found on earth until today. 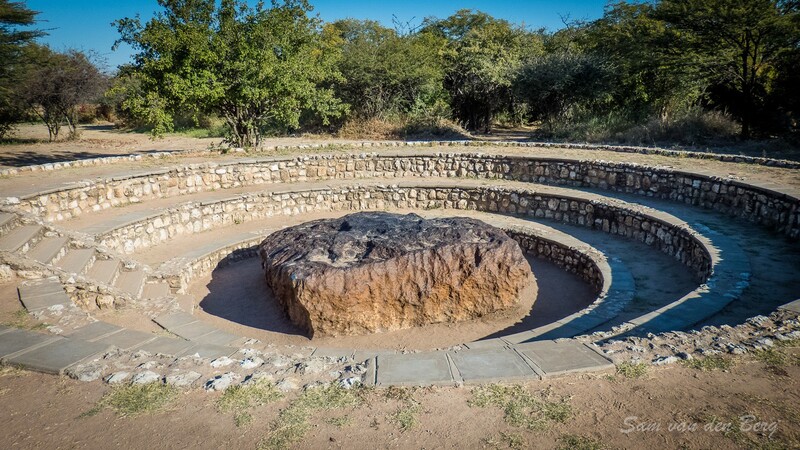 The meteorite came down about 20 km west of Grootfontein about 80,000 years ago and still remains at the same place, which is not surprising, considering the estimated weight of 60 tons. It consists mainly of iron (82,4%) and nickel (16,4%) and some trace elements such as cobalt. 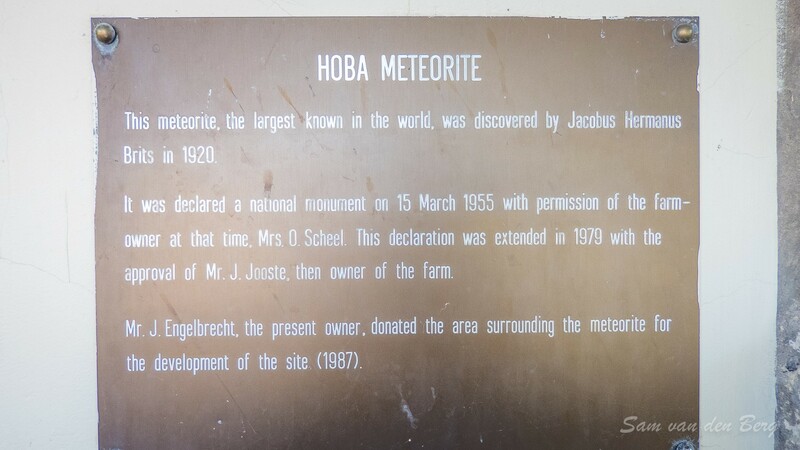 Its name is derived from the Hoba Farm in the Otavi Mountains. 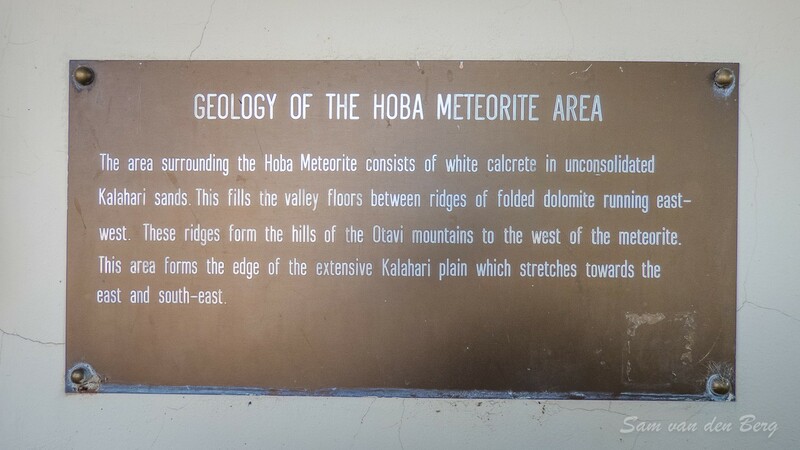 In March 1955 the Hoba Meteorite was declared a national monument. 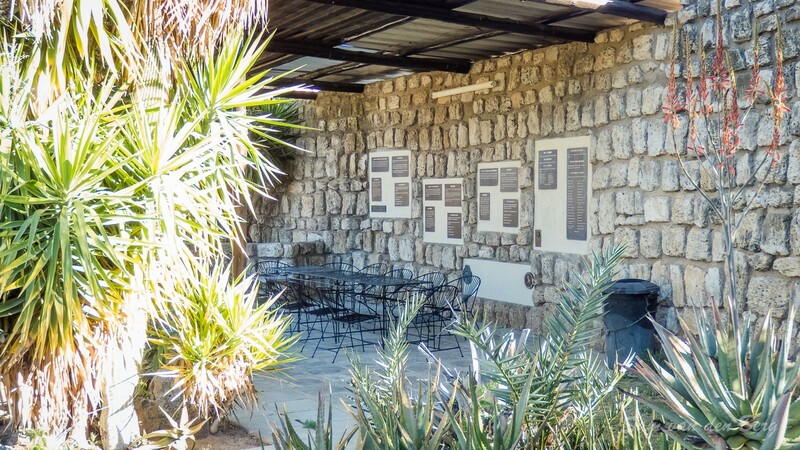 The area around the meteorite was donated to the National Monuments Council in 1987. The meteorite enjoys a large popularity with tourists. Meteor craters of large meteors are often unrecognizable after a few decades already due to plant growth and after some centuries due to erosion. 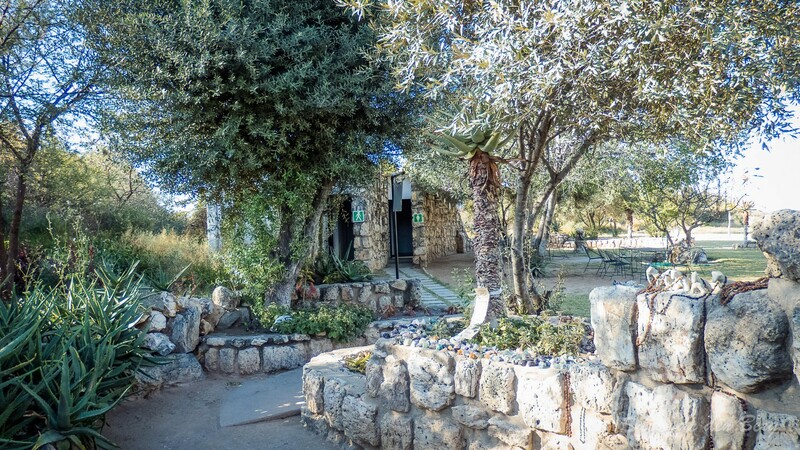 "One winter as I was hunting at the farm Hoba I noticed a strange rock. I sat down on it. Only its upper part was visible. The rock was black, and all around it was calcareous soil. I scratched the rock with my knife and saw there was a shine beneath the surface. 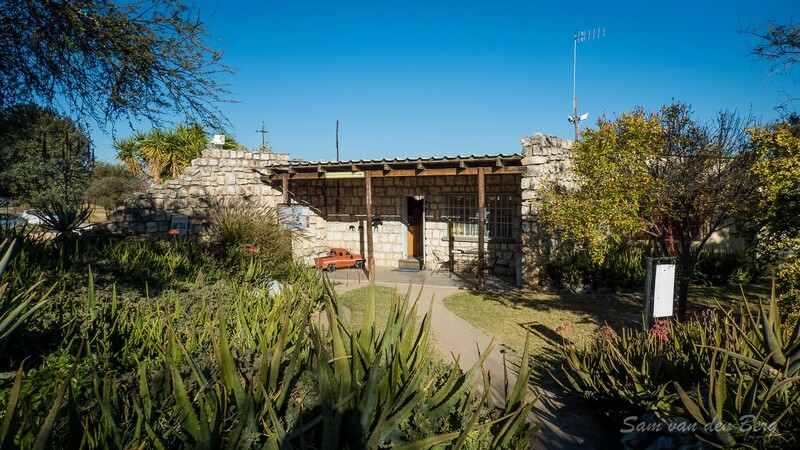 I then chiselled off a piece and took it to the SWA Maatskappy in Grootfontein, whose director established it to be a meteorite." The first scientific report on the meteorite was published by Luyten (1929) after he had undertaken an investigation following a report on the meteorite in Die Volksblad. The results of later tests concerning the metallurgical composition of the meteorite were published by Spencer.